The annual event is put on by Centro Cultural de Washington County in Cornelius. Candy, costumes and skeletons are staples this time of year in households across the county, but while trick-or-treaters are preparing for a night of fun on Halloween, organizers at Centro Cultural de Washington County in Cornelius are preparing for their own holiday celebration later this week. Hundreds are expected to pack Centro's plaza this Friday, Nov. 2, for its annual Day of the Dead celebration. Known as Día de Muertos in Spanish, the popular Mexican holiday — which runs from Oct. 31 to Nov. 2 — is a way to celebrate the lives of loved ones who have died. The celebration usually draws about 400 people, said Maria Campos, Centro's communications coordinator. "It's very packed," Campos said. "It's like sardines." Friday's event runs from 4 to 8 p.m. at Centro's headquarters, 1110 N. Adair St. in Cornelius. During Day of the Dead, tradition says, the dead are treated as "guests of honor." On Oct. 31, the spirits of dead children are said to return to visit their families, followed by the spirits of adults on Nov. 1. On Nov. 2, the last day of the holiday, families visit cemeteries to decorate the graves of the departed. 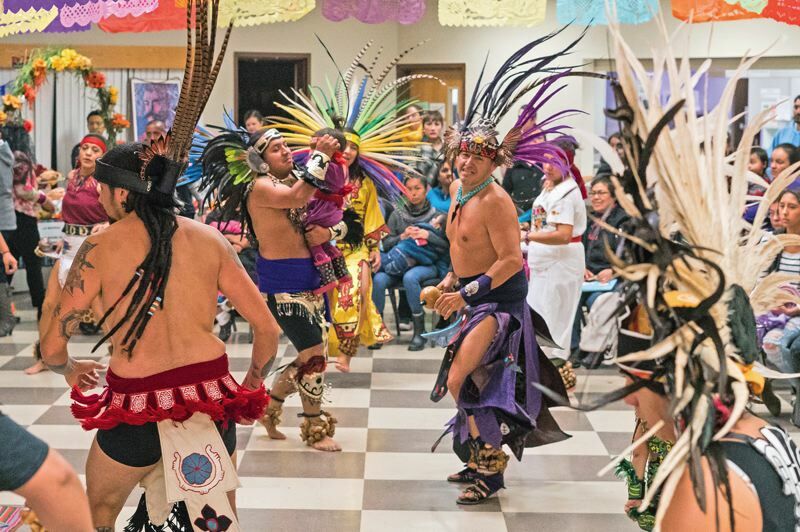 The holiday is a happy one, despite its macabre drapings, said Campos, who was born and raised in Hillsboro, and spent years volunteering at Centro Cultural. In Mexico, the holiday is celebrated with large parades and festivals. Traditional decorations for the holiday include sugar skulls and cardboard skeletons. "We do this to gather the community," said project coordinator Mariana Valenzuela, who is helping to organize the event. "We want to share something that we all have in common. Everyone can be here and participate." Families build altars (called ofrendas) to honor family and friends who have died. Family members often leave offerings to loved ones, favorite foods or other items enjoyed in life. "If they liked tequila, they'll put a bottle of tequila on the altar for them," Campos said. Valenzuela said the three-day holiday has important messages for families about coping with death. "It's very important for the children that come and enjoy this day to be able to pass on this tradition," she said. "Later, they will do this with their own families. It's not only about sugar skulls and the fun they get to have, but you also learn about coping with the loss of someone in the family, someone loved. How do you process that? You remember them. You can celebrate their life." Founded by migrant families in 1972, Centro Cultural has worked with Latino families to promote economic and social development and increase cultural understanding in the county. 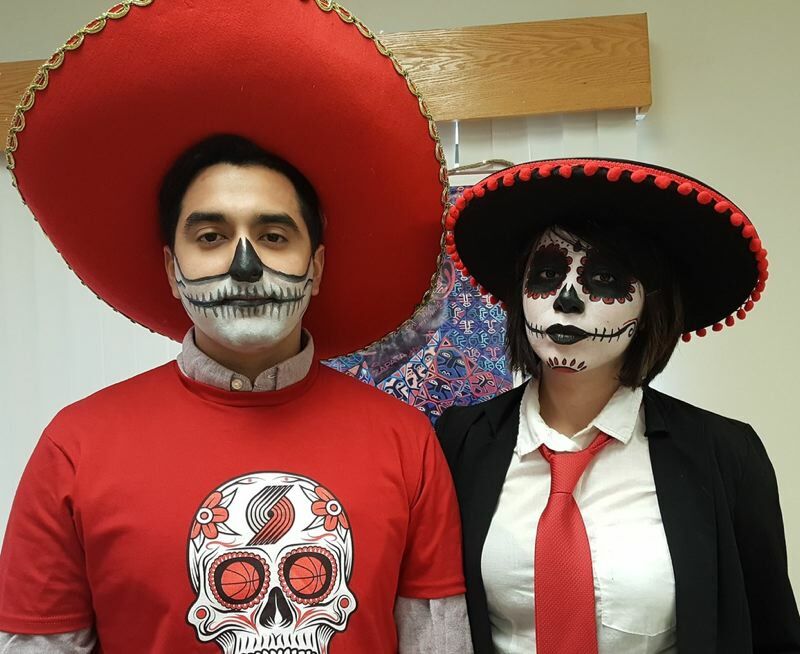 Centro began hosting its own Day of the Dead celebrations decades ago as a way to remember the founders of the organization, Campos said. Friday's celebration will include live entertainment, including music, dancing, food, kid's activities and other fun events. 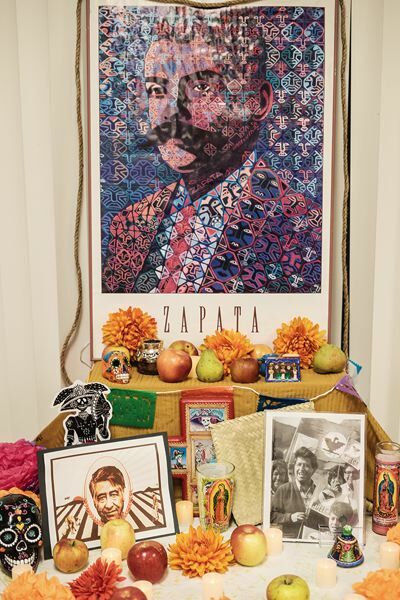 Each year, the nonprofit and other local organizations construct altars honoring Centro's founders and other community members who have passed away. "We had a lady who was part of our senior group who passed away very recently," Valenzuela said. "They're going to make an altar for her this year." This year, Centro has opened up its altars to the community, Campos said. "We're doing something different," she said. "Anyone in the community can have an altar, they just have to sign up. We wanted to do something that included the public." Campos and others have been hard at work making marigolds — a traditional flower often on display at Day of the Dead celebrations — out of tissue paper for the event. The holiday started in southern Mexico but has spread across the Spanish-speaking world, taking different shapes in different countries. Valenzuela, who was raised in Chile, didn't grow up celebrating Day of the Dead. "In my country, it was a solemn, quiet day," she said. "It was a day of sadness and grieving and missing the person who had died. But here, we celebrate the life in a very colorful way. There are flowers, you have colorful music to remember them." This year is the first Day of the Dead celebration since the release of the 2017 animated Disney film "Coco," which prominently features the holiday. Campos hopes the film's success will spark an even greater turnout this year. Musicians at Centro will perform some of the music from the film during Friday's gathering. "Little kids know all the songs," Campos said. Liz Hutchison contributed to this report.